This cow must’ve sensed danger because just minutes before dying in the slaughterhouse, he took off like a shot! He busts through a fence, bowls over one of his keepers, and runs into a nearby lake…and that’s just the start of his amazing adventure story! She could sense danger faster than humans can. 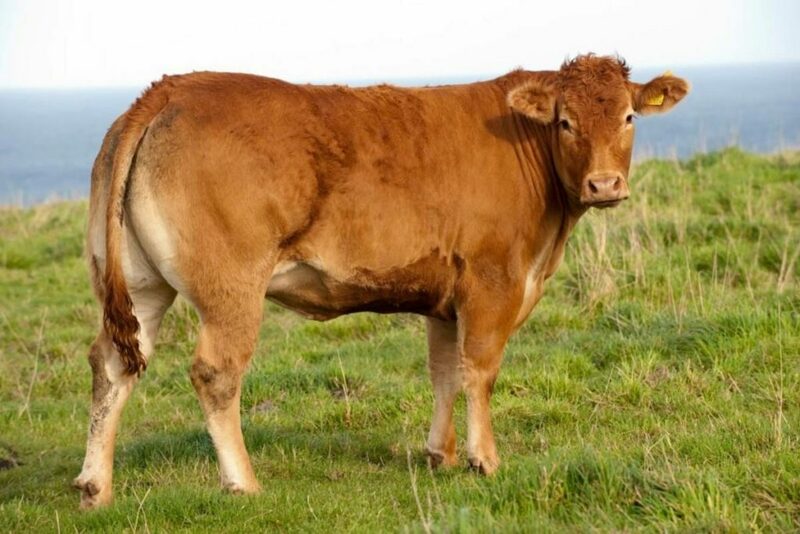 One cow who has been living alone on an island made headlines worldwide after staging a miraculous escape. It had been on its way to a slaughterhouse and was already infamous for attacking anyone who came near it. 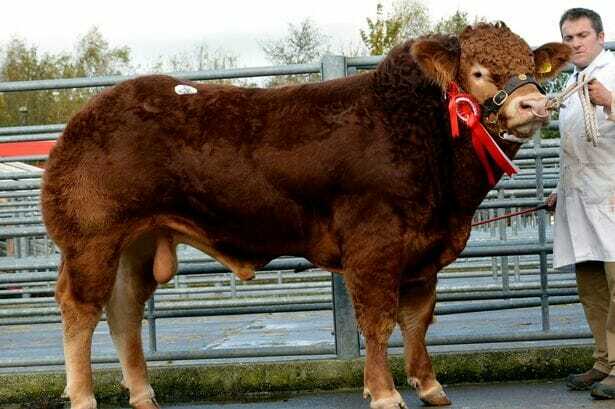 The animal made its bid for safety last month, after refusing to get into a lorry which was heading to the slaughterhouse. During the escape attempt, it rammed a metal fence with all its might before making a quick dash for the nearby Lake Nysa in the south of Poland. 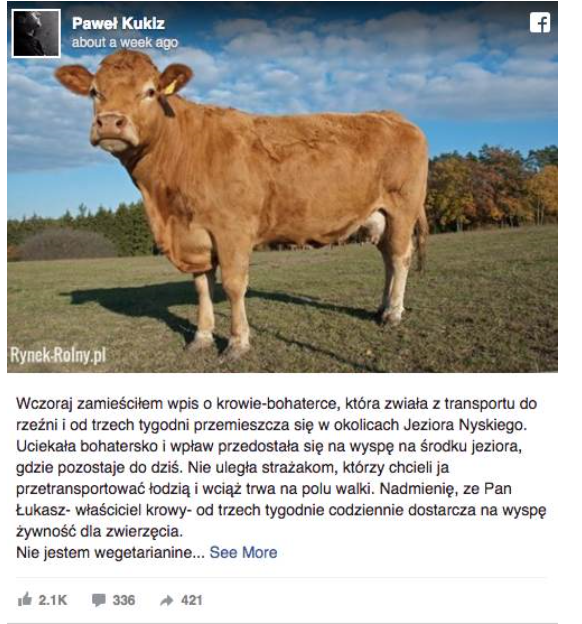 After the cow’s owner, known as Mr Lukasz, had attempted to lure the animal back to the farm, the cow attacked and broke one of his worker’s arms – according to Polish news show Wiadomosci. It then entered the water rapidly and swam to one of the islands, in the middle of the lake! Mr Lukasz recalled that he even saw it dive underwater on its way there. After a fruitless week of trying and failing to get the cow back to his farm, Mr Lukasz gave up and began making sure that the cow remains well-fed enough by providing sources of food for it to stay alive instead. 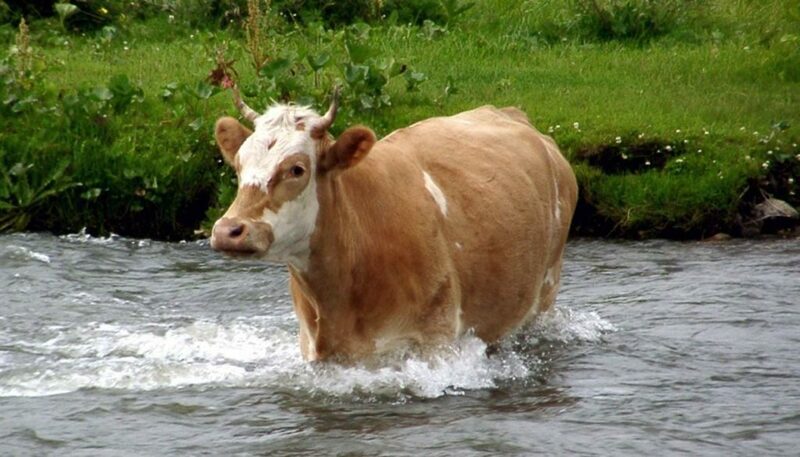 When firefighters used a boat to get to the island, the cow swam about 50 metres away from it and towards a neighbouring peninsula. Pawel Gotowski, deputy commander of the fire brigade in Nysa, reported that the animal was frightened, but healthy. A vet was called in to tranquillise the animal, but told Mr Lukasz he had run out of gas cartridges which would take several days to replenish. 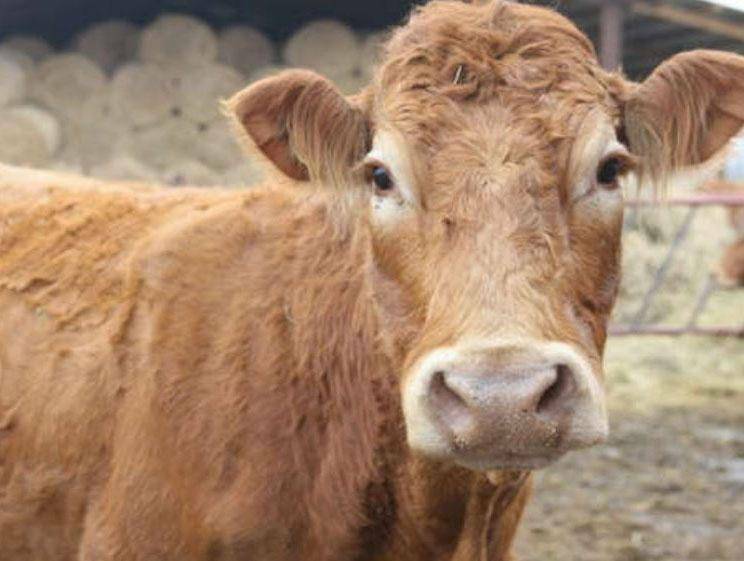 Despite the farmer considering having the cow shot dead, a political leader in the town of Nysa named Czeslaw Bilobran wanted the cow to live out its life – in peace. Politician and former singer, Pawel Kukiz, mentioned the animal’s plight on Wednesday in a Facebook post. He had even offered to pay for the “hero cow” to be saved from death!